Royal Caribbean International was originally forged as “Royal Caribbean Cruise Line” in 1968 by three Norwegian shipping companies (Anders Wihelmsen & Company, I.M. Skaugen & Company, and Gotaas Larsen). Operating with just one passenger ship at the time, the classic-cruise styled Song of Norway, Royal Caribbean International began its fleet-wide passenger capacity with just mere 724 cruise passengers. Sailing out of Miami, Florida on seven and fourteen day cruises. The following year (1969) passenger capacity doubled with the addition of Nordic Prince to the Royal Caribbean International fleet. With great interest in cruising during the early 1970’s Royal Caribbean International continued to grow with the addition of Song of America in 1982, from this moment onward it has been expansion after expansion for the cruise company. Known for being a cruise company who excel at innovation and world firsts, Royal Caribbean have been instrumental in reshaping today’s modern cruise industry from a passenger carrying service into the complete cruise package we know today. The company has positioned itself to appeal to every type of cruise passenger from first time (beginner) cruisers to veteran cruisers spanning all age groups. Royal Caribbean International offers its passengers exclusive cruise-destinations, Labadee in Haiti is a private resort leased to Royal Caribbean International, and they also own Little Stirrup Cay, an island in the Bahamas now rechristened “Coco Cay”. Royal Caribbean International have the opinions of their customers at heart and adapt their services over time to meet their customers wishes. 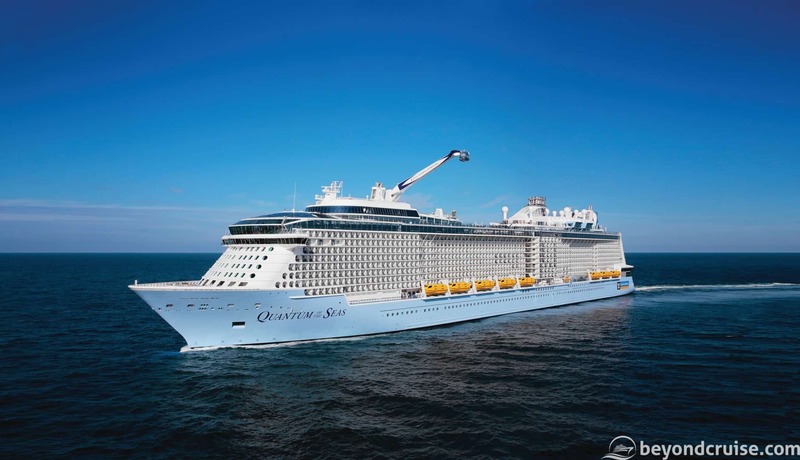 Expanding services, facilities and attractions based on popularity and to suit all types of cruise-passenger, it is perhaps this ethos that has seen Royal Caribbean International grow from strength to strength in the short time it has existed. In just less than 55 years of operation Royal Caribbean International has grown from a 724 single vessel passenger capacity, to 80,000+ passengers within a twenty-five vessel fleet, with plans to unveil yet more ships in 2017 onwards. With such a large fleet in operation Royal Caribbean International have a 17% market share of the current-day cruise industry. Offering cruises all over the world as well as two exclusive and private cruise destinations Royal Caribbean International is a cruise-giant of a company and here to stay. Life on-board any Royal Caribbean International ship is noted for its many forms of entertainment and the ability to keep cruise passengers occupied at all times whatever their day-to-day tastes. Blending both active and energetic entertainment with relaxed and comfortable surroundings, on-board ships that absorb passenger numbers with great ease, it is yet another recipe for success by Royal Caribbean International that sees passengers return year after year to recapture the magic and experience. Did you know? Royal Caribbean International (UK) staff member Lisa Clarkson holds the Guinness World Record for packing a suitcase. She folded and packed 20 items in just 1 minute 13 seconds to claim the title. Many participants during the event were disqualified for throwing items into the case and not folding them. It’s a lot harder than it looks. The “Pack More In” campaign was launched by Royal Caribbean International in co-operation with Guinness World Records Live. Ships for everyone. Singles, couples and families. People who don’t like larger ships with 3000-5000 passengers.